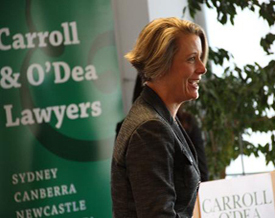 On 9 August at the College of Law Kristina Keneally spoke to friends and staff of Carroll & O’Dea about the challenges faced by working parents and the social issues involved in paid parental leave. Marian Baird, Professor of Work and Organisations at the University of Sydney, also spoke. 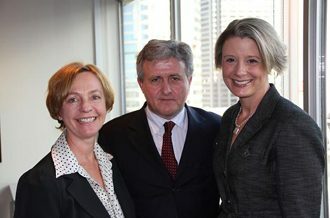 Professor Baird presented an economic history of Australian women in the workforce, providing a basis for thoughtful discussion amongst the audience and speakers.